We love this kind of thing, don’t we? 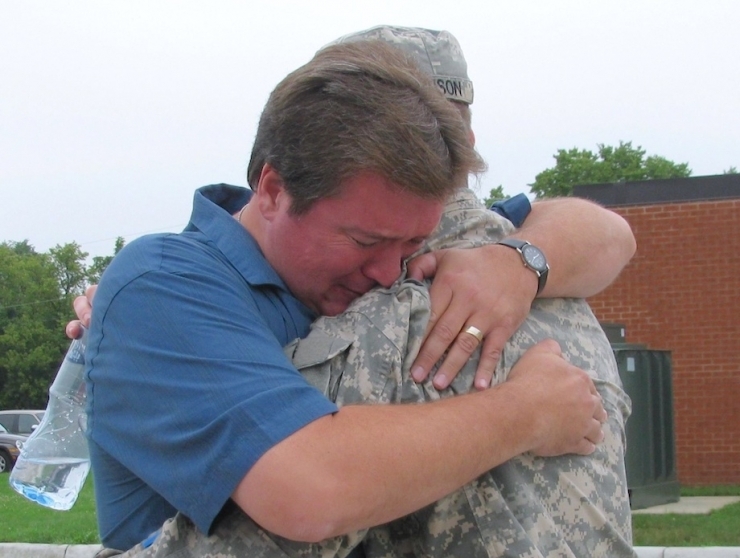 Happy faces, patriotism, gratitude – they make great viral images, but what they don’t show is the difficult reality many veterans face when they come home. Veterans like Adam. 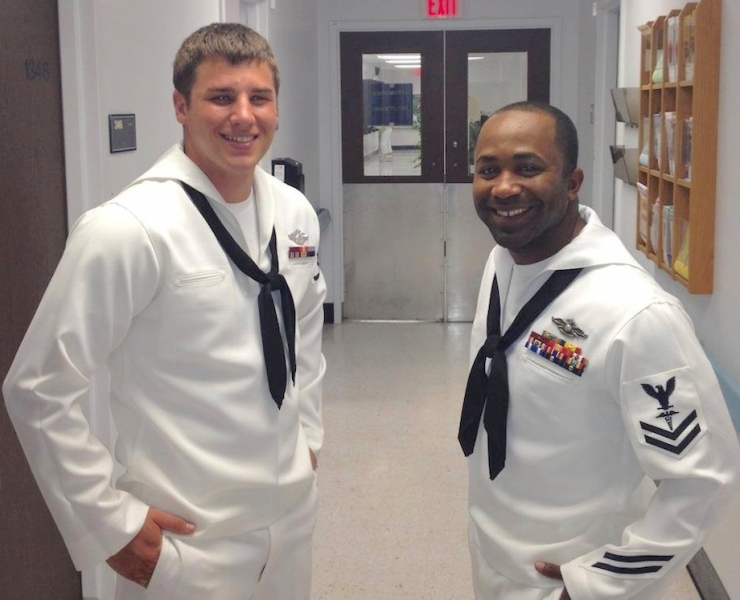 He served nine years as a Navy corpsman, including two deployments fighting pirates off the coast of Africa. 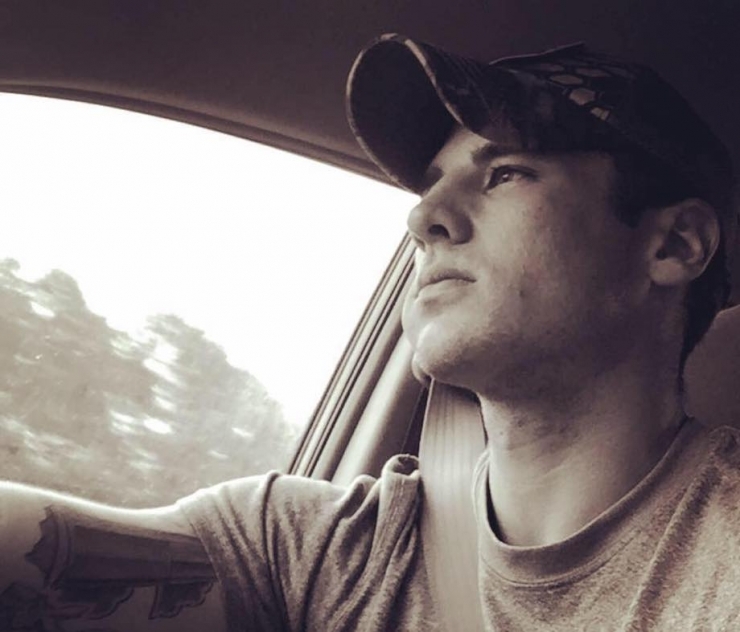 Depression and anxiety had been creeping in slowly, as early as his first deployment, and while he was happy to come home, transitioning to civilian life was harder than he expected. He’s not alone. 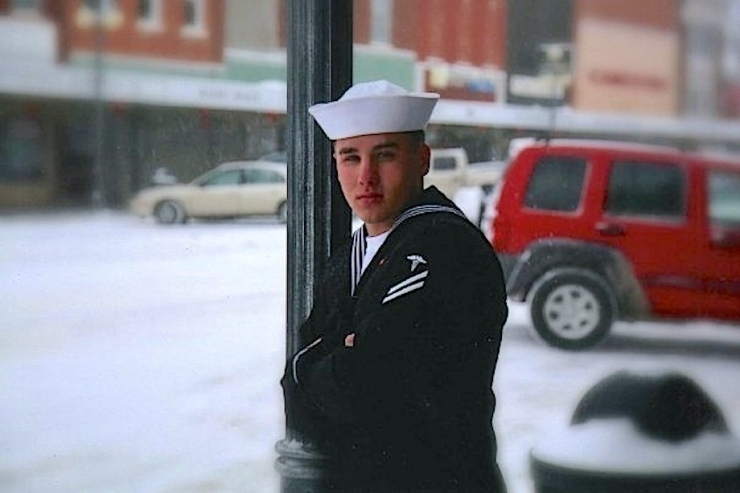 Somewhere in the neighborhood of 11-20% of U.S. veterans suffer from mental health issues – including depression and PTSD – and even more feel disconnected when they return to the civilian world. This is Josh, and his story is painfully similar. 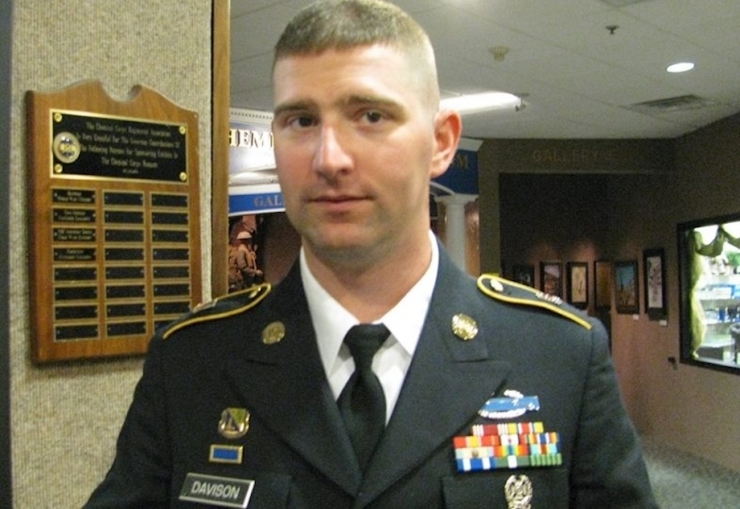 He joined the Army National Guard straight out of high school, and spent five years on some very tough assignments. When he left the military in 2011, he carried more than a DD 214 with him. “I had developed severe depression, anger issues, and a drinking problem. I was married and divorced in less than a year. I was working long hours and my symptoms got worse, and I never left my house unless it was for work or I absolutely had to,” Josh told us. Desperate to find his place in the world, Josh turned to what he knew best: he joined a reserve unit and vowed to turn his life around. He sought help for his depression and anxiety, stopped drinking, and met a girl (her name is Jamie). 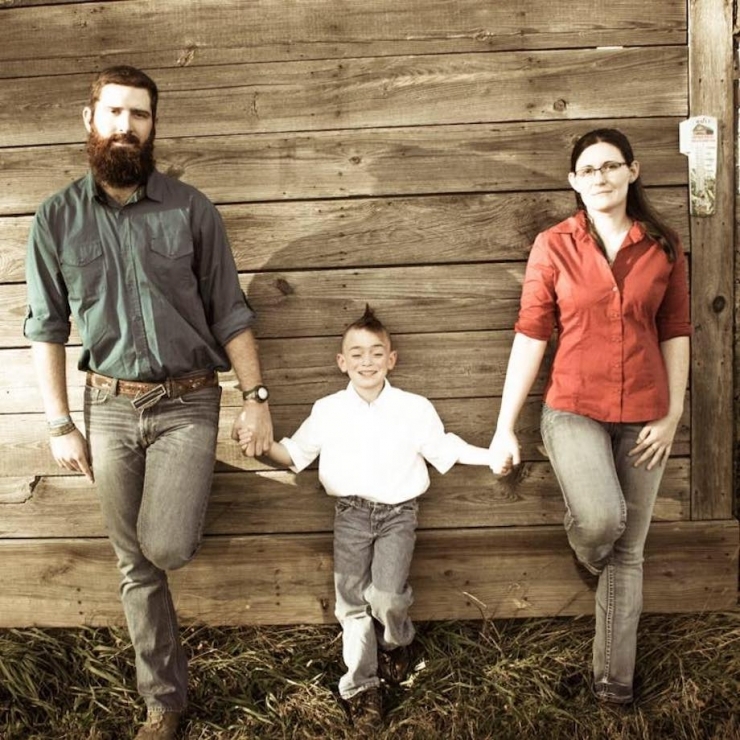 She had a little boy named Jayden, and Josh was smitten with them both. 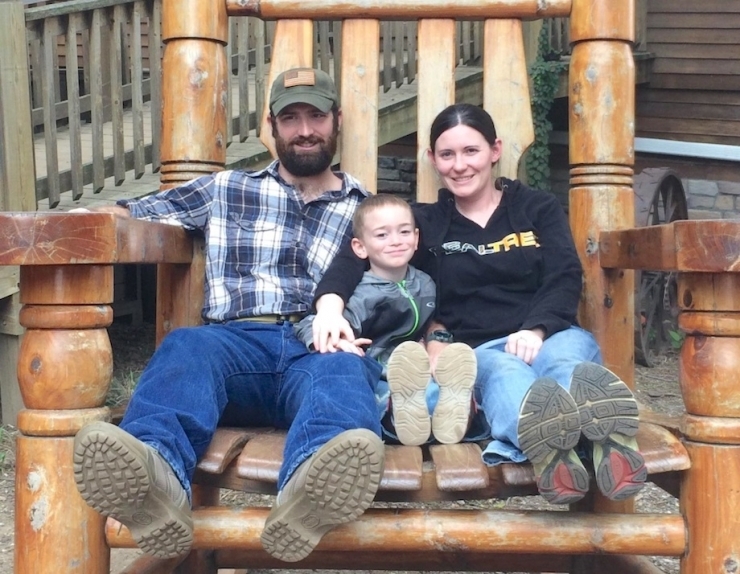 Armed with the support of his new family, Josh went back to school, earned his associate’s degree, and started on his bachelor’s. On the surface, he was doing better than he had in years. But mental health is a delicate thing, and without warning, Josh had a severe flashback that threatened to derail it all. Every story has a turning point; an unforeseeable moment that can change in the blink of an eye. For Adam, it was a simple call from a friend. 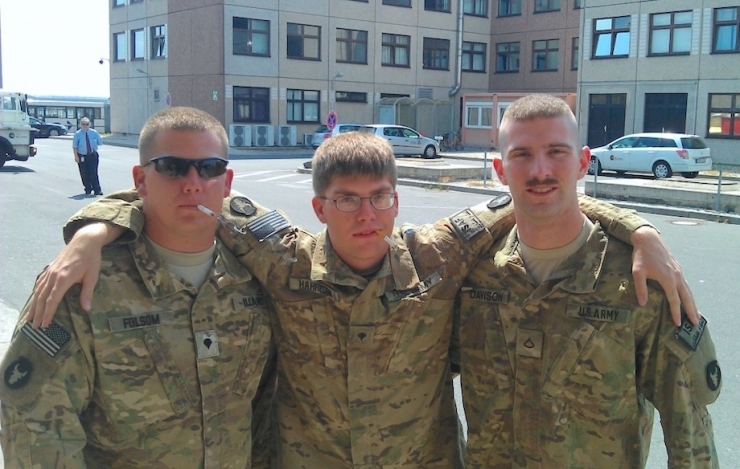 “My buddy reached out at my time of need without even knowing I needed it,” he said smiling. 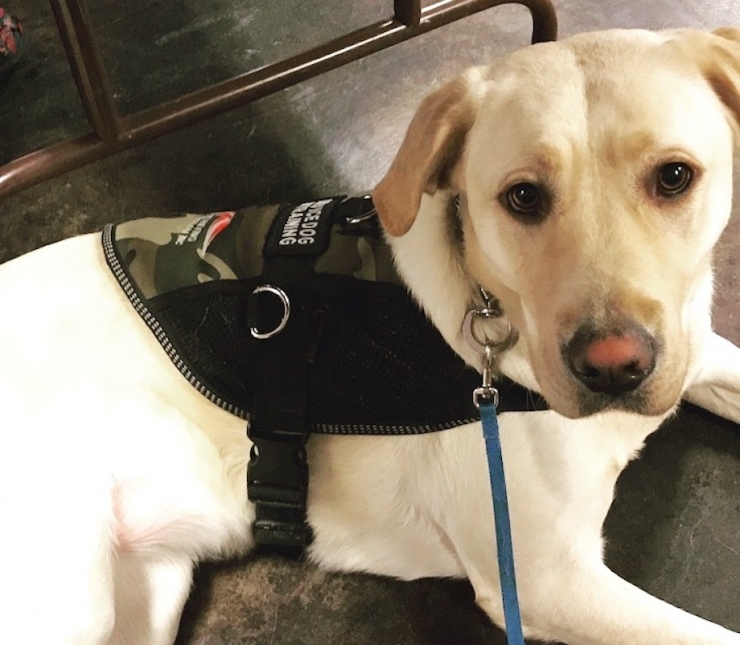 His best friend (also named Josh, also a veteran) dragged him out of his funk to a golf tournament, where he met the folks at Retrieving Freedom. 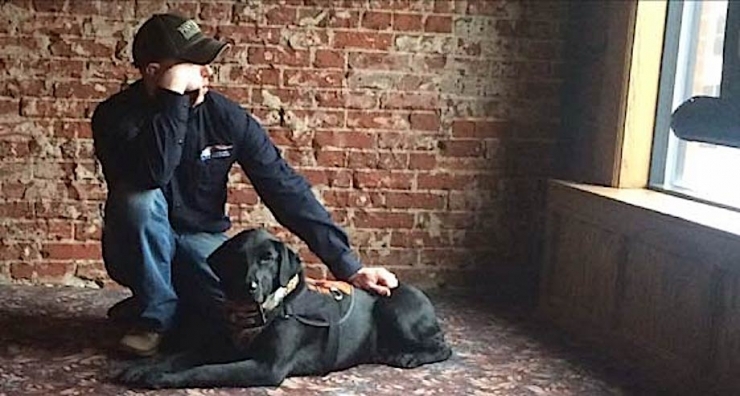 After hearing his story and talking through his symptoms, they encouraged Adam to apply for a service dog. Turns out, that was exactly the right move. 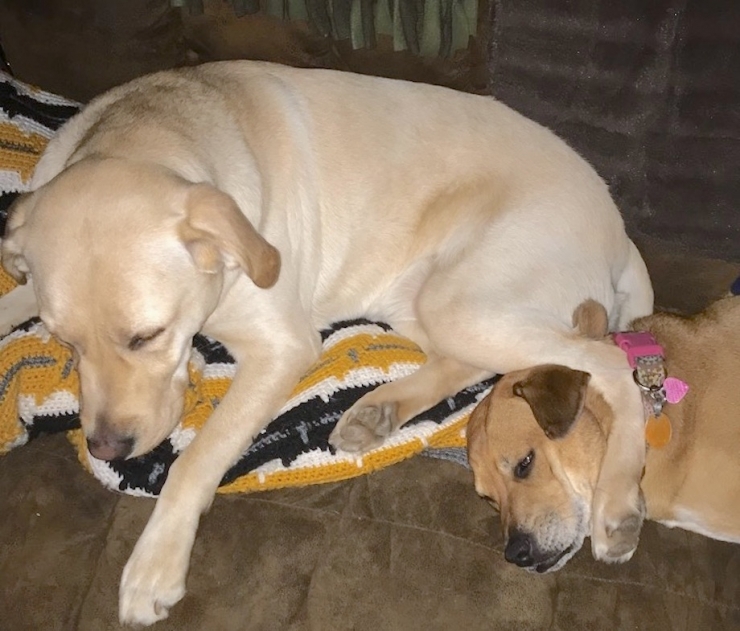 Marley came into Adam’s life just months after he submitted his application, and she’s progressed so well in her training they’re already having sleepovers. “It’s been an unbelievable experience working with her. I already notice a difference in myself. I’m more comfortable in public, where I used to be on edge, having a hard time. But Marley relaxes me, I can enjoy what I’m doing. She’s a lifesaver.” Adam said he hasn’t been outside his small town in a long time, and he’s really looking forward to heading to the big city, maybe catching an Iowa Hawkeyes game, and definitely feeling whole again. 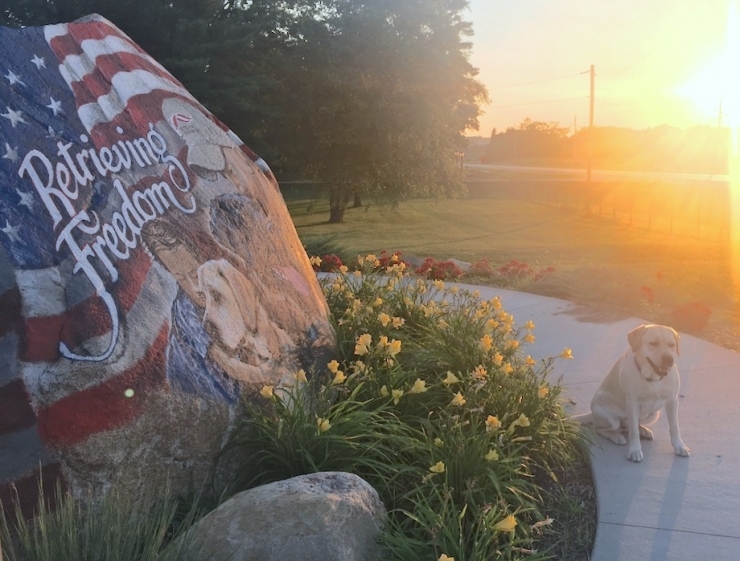 He started working with Retrieving Freedom, and though it’s taking longer to match him with a service dog than it took for Adam, he’s optimistic it’ll happen soon. He’s so ready. Ready to be a better dad for Jayden, a better husband for Jamie, and the best version of himself he can be. Keep your fingers crossed it happens soon – we’ll keep you posted. Service dogs are changing lives every day. 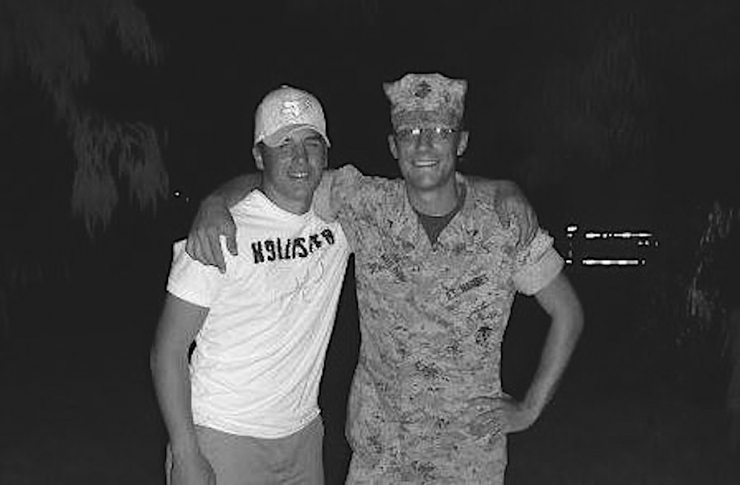 They’re helping veterans like Adam heal and take back their lives, and one day soon, Josh will be there, too. 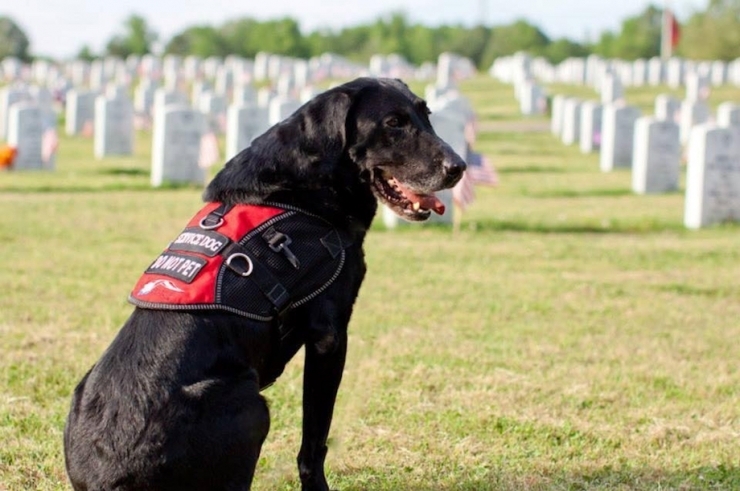 Chive Charities is honored to help make their recovery possible with two $10,000 grants, each toward the purchase and training of their service dogs. 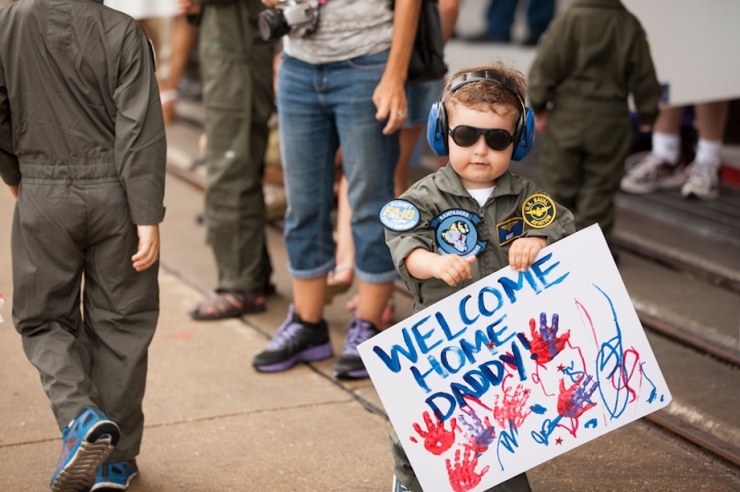 We can’t wait to see all the places they’ll go. 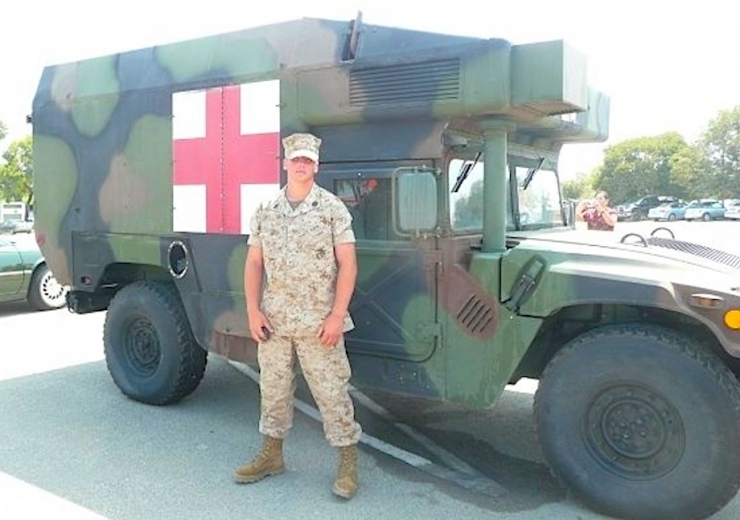 There are many, many more veterans who need help finding their way out of the darkness, and Chive Charities is committed to doing as much as we can. Will you help? Join the monthly donors who believe we can do more good when we band together by clicking right HERE to donate.